This picture is sooooo beautiful. I love the colors with the mountains its so pretty. yeah, I know what you mean about the watermark, I have removed it from most of my photos, but with about 1000 photos on this site I am bound to of missed some. sunrise Photo No portion of this page, text, photos, images or code may be copied, reproduced, published or distributed in any medium without the expressed written permission of the copyright holder. 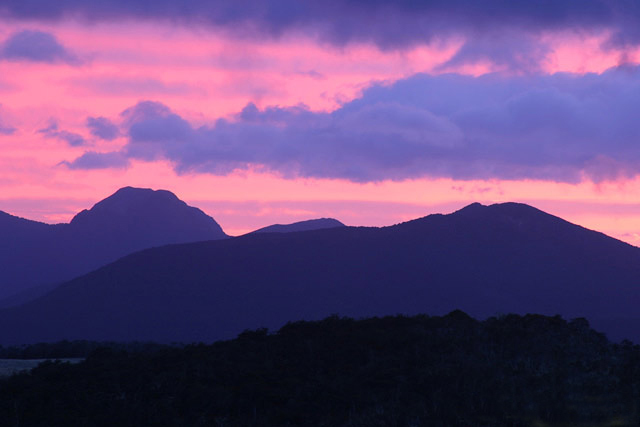 Including this photo of Sunrise, Tablelands.